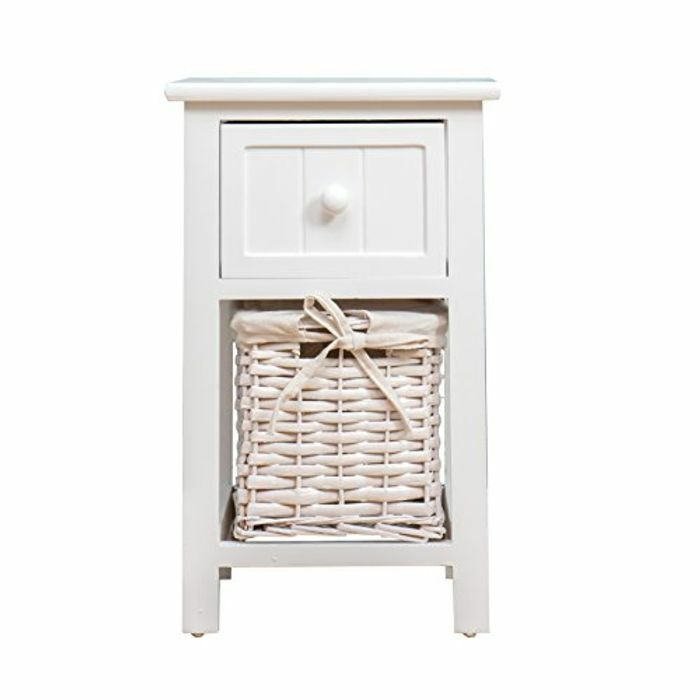 beautiful white bedside table that has 1 drawer and 1 wicker basket for storage. Perfect for bedrooms with limited space. Dimensions: W 28 cm (11 in) x D 31 cm (12.2 in) x H 62 cm (17.7 in). High quality MDF, easy to wipe clean with soft cloth. One piece. NO ASSEMBLY NEEDED. For addresses in Northern Ireland, Isle of Wight, Isle of Man, Scottish Islands and Highlands and other offshore isles, delivery surcharge will apply. Please select EXPRESS DELIVERY when purchase otherwise we will not be able to fulfil the order. Please note we cannot deliver to Channel Islands.